Nutrients are the compounds in foods that sustain all of your body processes, as defined in the book “Nutrition and You” by Joan Salge Blake. Nutrients give you energy, allow you to grow and help to regulate all of your body processes. Different nutrients are grouped together based on similarities in function. There six major classes of nutrients. Carbohydrates are your body’s main source of energy. Carbohydrates contain the simple sugar glucose, which supplies energy to your brain, muscles and nervous system. Carbohydrates are referred to as macronutrients for two reasons: your body needs them in large amounts and they provide calories – 4 per gram. Fruits, vegetables and whole grains are healthy sources of carbohydrates while sugary baked goods and foods made with white flour are less nutritious sources. Fats provide you with fatty acids, which are essential to your health. Fats also allow you to absorb certain vitamins, called fat-soluble vitamins, cushion your organs, help maintain your body temperature and insulate you. Like carbohydrates, fats are referred to as macronutrients. They are actually the most energy-dense macronutrient, providing 9 calories per gram. Fats can provide your body with energy. Healthy unsaturated fats include fatty fish, nuts, seeds and avocados while frozen dinners, red meat and fast food contain unhealthy saturated and trans fats. Protein has more independent functions than any of the other nutrients. Proteins provide structural support to your body, help maintain acid-base balance, allow your body to build hormones and enzymes, transport various substances throughout your body and allow your immune system to function properly. Because proteins are also macronutrients and contain 4 calories per gram, they supply your body with energy in the absence of carbohydrates and fats. Lean meat, dairy foods, nuts, seeds and beans are all nutritious sources of protein. Vitamins are organic compounds, which means they are made by plants or animals. Vitamins are considered micronutrients because your body only needs them in small amounts. Each vitamin has an independent function, but vitamins are grouped together because all of them allow chemical reactions to take place in your body. Vitamins are divided into two categories based on how your body absorbs them – fat-soluble and water-soluble. The fat-soluble vitamins include vitamins A, D, E and K and the water-soluble vitamins are vitamin C and the B vitamins. Minerals are considered inorganic compounds because they come from soil and water, rather than living things. Minerals help regulate body functions and allow your tissues to grow. Minerals also play a role in the release of energy in your body. Like vitamins, minerals are divided into two categories – trace minerals and major minerals. The trace minerals include iron, zinc, copper, selenium, chromium, iodine, fluoride, manganese and molybdenum. The major minerals include calcium, magnesium, potassium, sodium, chloride and phosphorus. 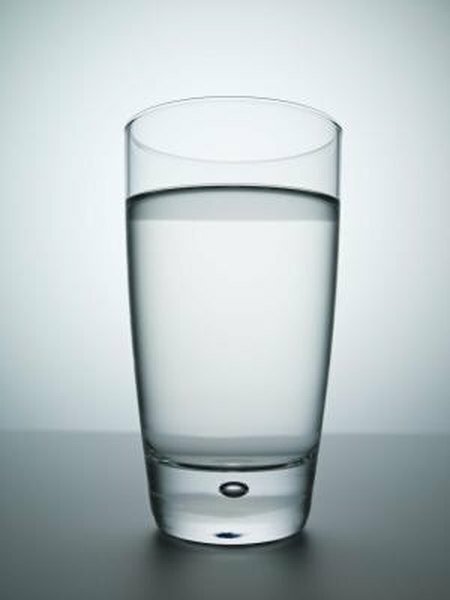 Although water is often overlooked, it may be the most important nutrient of all. Without water, you could only survive a couple of days. Water helps to regulate body temperature, removes waste products and allows chemical reactions to take place. Water also lubricates your joints, allowing you to move, and your mouth, allowing you to eat.